If you’re coming to Amsterdam between mid-March and mid-May, you are in for SUCH a treat! Those bright and colorful images of flowers you think of when you imagine what it’s like to be in Holland will come to life. A day trip to Keukenhof will have you bursting with the feeling of springtime. You can’t help but leave with a smile on your face. It’s funny how happy flowers seem to make people! Find and purchase the best ticket for you to visit Keukenhof here. 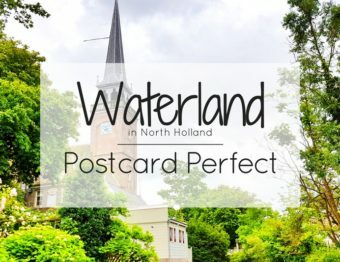 In my effort to help you fall in love with my new home in the Netherlands, I want you to be able to experience the wonder that I feel so often. To make that happen, I’m creating guides so you can do more and worry less! Without further ado, I give you Keukenhof! 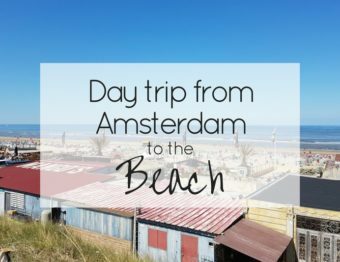 It’s not in Amsterdam, it’s in a town called Lisse but is super easy to get to. More on that in a bit. For 2019 it’s open from March 21 until May 19. Within that time, it’s open daily from 8:00am-7:30pm. Grab a free map at the entrance. Here’s a sneak peek at the map. Every year has a theme, this time it’s Flower Power. Keukenhof translates to “Kitchen garden”, so yeah…it was just a regular kitchen garden for the (now named) Castle Keukenhof at some point. Then, many years later, a Baron and Baroness decided they wanted a real garden that had beauty and structure. So they hired Jan David Zocher and his son. They also worked on Vondelpark — the most famous park in Amsterdam. The mid-20th century was when it really became what you see today. The mayor of Lisse at that time wanted to use it as a place for growers to show off their flowers. A showcase of beautiful flowers…how wonderfully Dutch! As if the Netherlands didn’t already have an obsession with flowers, this was just a super popular addition. And why wouldn’t it be? Have you seen these beautiful flowers? Keukenhof: the garden of Europe is much more than tulip gardens. To be clear, though, there are a TON of tulips. Over 800 varieties. Can you spot the differences? They rotate flowers that are planted…even during the 2-month window that the garden is open. This is to keep the flowers you see at their peek! The rows of tulips that you see representing Holland a lot…those are not at the Keukenhof. Those are actual tulip fields. As in, they are being grown to sell. You can definitely take a bike ride through the fields, just wanted you to know that those are not in the garden itself. But they are close by! Got allergies? Even those with mild allergies, I would suggest taking some medicine. Flowers don’t affect me too much but I felt like I got smacked in the face when I got there. Just be prepared and all is good! There are lockers, which can be so nice depending on how you are traveling! Restaurants are sprinkled throughout so if you’re feeling peckish, don’t fret! Hours. Seriously. I wouldn’t plan anything else except dinner on this day. I was so disappointed when we had to leave and missed most of the garden after 3 hours! There’s more to see than you think. There are gardens of flowers, there’s a greenhouse with flowers, there are art pieces, water features, etc. Really, for those who love flowers, this is basically Disney World. Meander. Chill. Smell the roses…or whatever flowers are there at that time! Watch out for the selfie sticks. I would bet you’ll get bopped in the head by at least one. If you use selfie sticks, just watch where you are swinging those things! Explore the exhibits that aren’t flowers. The entrance to the gardens is 17€ (Euro) when buying direct on their website or 18€ at the door, but we used the combi-ticket that includes transit and the entrance fee because it just makes our lives a bit easier. And really, when traveling easier can be a sanity-saver. But, if you’re by car, then 16€ it is! For the rest of us in Amsterdam, I suggest using the combi-ticket and pull up right outside the entrance. Or you can take a tour bus from Amsterdam that passes along the tulip fields and you get a bit of history along the way. This tour gives a little less flexibility but a bit less stress too because you know there’s a seat for you. 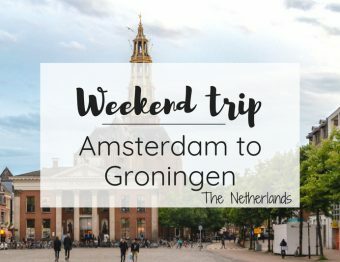 There are other options if you aren’t in Amsterdam and want to take public transit, so I will leave the link to browse through here. Tip: Go early in the day because the line for the express bus can get a bit long! Stay on the paths. Don’t pick the flowers. Let’s really drive that home…DO NOT PICK THE FLOWERS. You can bring dogs that are on leashes, but you must stay in the gardens area. Don’t forget to pick up after them. I’m pretty sure that’s why dogs have humans. Avoid the front gate area. Seriously, get in and keep walking until you hit another end, and then start meandering through the garden. Much less crowded and stressful. You’ll probably even find some super quiet corners! Take your new profile picture. Get lots of Instagram-worthy photos. Basically, just keep snapping away and you’ll always have the memory of the “Garden of Europe”. Dress for Dutch weather. This means it could be any kind of weather. Of course, check the temperatures, but be prepared with layers and a poncho or umbrella. A light raincoat that can keep in the warmth isn’t a bad idea either. Wear the right shoes. Really, you’ll be on your feet for hours and with so many people, there’s no guarantee you’ll be able to sit right away if you or your feet get too tired. So, please keep that in mind when choosing your footwear. I do hope you enjoy Keukenhof! It’s definitely a cool experience. Yeah, it’s a super touristy thing to do, but walking through the gardens makes me so happy. Really now, how can you NOT be happy when surrounded by colorful flowers? Have fun and act like a kid in a candy store. That’s what I did because that’s how I felt. I hopped from platform to tiny platform in a pond while we tried to get funny pictures. It’s easy to get caught up in the beauty of one part of the garden, but I promise you, there’s a lot more! Have you been to a massive and beautiful garden before? Where was it? What was your favorite part? this is insanely helpful! i am planning a trip at the beginning of May for this reason. THANKS!! I am SO glad! Please enjoy your trip! Love this! We went to Keukenhof last year and fell in love. Such a beautiful garden and you’re right that you need a whole day to really take it all in. Thanks so much for sharing!! This has been on my bucket list for a few years now. The last two I had big weddings that used up all of my vacation time. This year I thought I would do it. It’s possible but looking like I might end up in Asia. Maybe next year!! All of those flowers are so beautiful!! Thanks for this nice post on the Keukenhof. I was surprised to know that the large tulip fields were actually not in Keukenhof !. Are they at a walking distance from the gardens ? I was hoping to visit the Tulip fields and am not sure if i’ll be able to take my bike along. 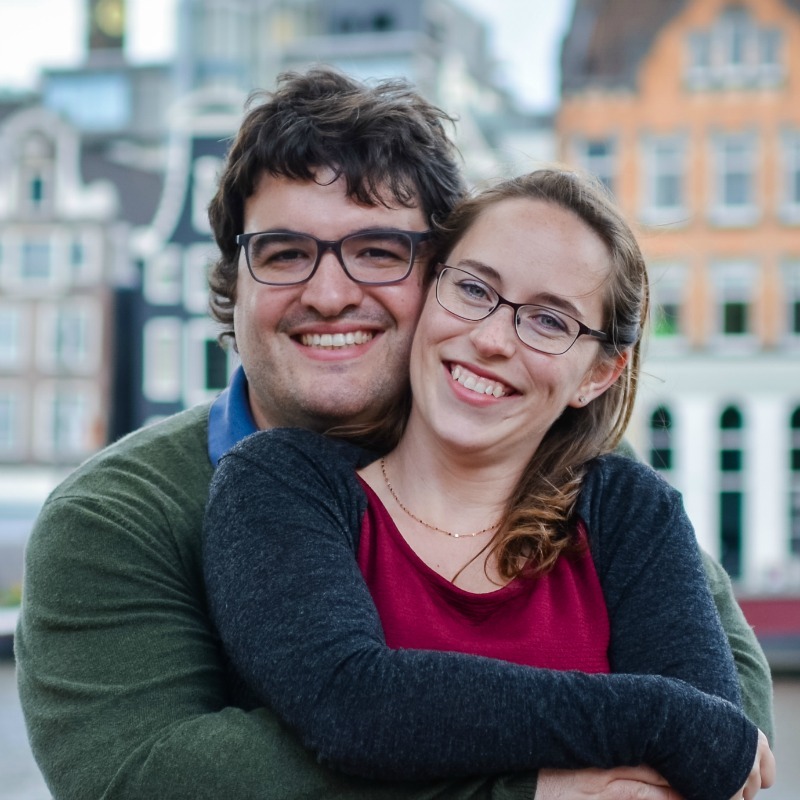 Hello Jessica, Thanks for this nice post on the Keukenhof. I love gardening very much. If there is gardens of flowers, greenhouse with flowers, art pieces, water features etc for those who love flowers, this is basically Disney World. We are soon visiting Amsterdam. 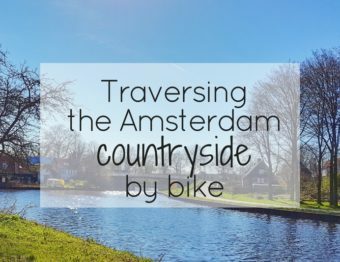 We want to make a day trip to Keukenhof as well as a bike ride in the nearby fields. Can both of these be done in a day if we start early? I would think so! While I haven’t yet done a bike trip in the fields (I’m so missing out! ), I would think you could easily do both in one day! I hope to visit Keukenhof next year, great pics, thx. Thank you! I’m so happy you found it too 🙂 Please get back in touch if you are able to come next year. I hope you love it! 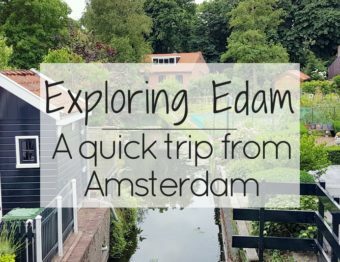 Planning my trip to Amsterdam and this has been really helpful, thank you! I would think so! While I haven’t yet completed a bicycle trip in the fields (I’m so passing up a great opportunity! ), I would figure you could without much of a stretch do both in one day! I love the place! I can’t wait to see Keukenhof Garden myself! Great post! Thanks for sharing! This is awesome! Unfortunately I have a black thumb. =( lol If it ever gets better I will definitely be following your tips! I want to go so badly!! I live 25 minutes from South Shore Lake Tahoe and we have a flower farm called Daffodil Hill just about 2 hours from us! And while it is gorgeous, I’m sure it would pale in comparison to this!! Going there is a huge dream of mine!! As a flower lover and a garden hobbyist I like visiting flower garden . 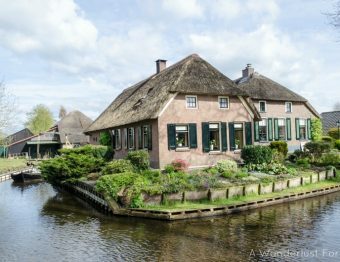 It is amazing place and hope to visit next trip of Hollands. Joseph recently posted…How To Deal With Wind At The Time Of Hunting With A Bow.